The paucity of intercultural interactions among students from culturally diverse backgrounds at university and off campus is widely documented in the literature. A review of this empirical work, however, reveals narrow conceptualisations of the construct of intercultural interactions. Intercultural interactions are seldom conceptualised as part of complex, dynamic activity systems, and across multiple social contexts. Yet, intercultural interactions represent unique relational, socio-emotional and socio-cultural activities with their own, specific underlying cognitive, motivational and emotional dynamics. It is posited that activity theory (e.g. Engeström in Journal of Education and Work 14(1):133–156, 2001) provides a useful framework for interpreting students’ intercultural experiences, because of its emphasis on the evolving and complex interrelations between individuals and their surroundings—conceptualised as activity systems. The multiple contexts angle further stresses the overlapping and/or embedded nature of the activity systems that individuals simultaneously participate in. A series of empirical studies that incorporated quantitative methodologies for identifying meaningful patterns, and qualitative methodologies for gaining experiential insights into students’ intercultural experiences across multiple social contexts (i.e. formal on campus and informal, off campus) is presented. Methodological and conceptual issues related to studying the dynamics of motivational, cognitive and emotional aspects of intercultural interactions in activity systems and multiple contexts are addressed. This research was supported under the Australian Research Council’s Discovery Projects funding scheme (project number DP0986901). Student emotions and motivation. Group work. Intercultural interactions at university. Kimmel, K., & Volet, S. E. (in press). University students’ perceptions of and attitudes towards culturally diverse group work: does context matter? Journal of Studies in International Education. doi: 10.1177/1028315310373833. Kimmel, K., & Volet, S. (2010). Significance of context in university students’ (meta)cognitions related to group work: a multi-layered, multi-dimensional and cultural approach. Learning and Instruction, 20(6), 449–464. Kimmel, K., & Volet, S. (2010). Culture in motivation research: A challenging and enriching contribution. In P. Peterson, E. Baker & B. McGaw (Eds. ), International Encyclopedia of Education (Vol. 6, pp. 576–584). Oxford: Elsevier. Learning and motivation. Self and social regulation. Metacognition. Collaborative learning. Intercultural interactions at university. Järvelä, S, Volet, S.E. & Järvenoja, H. (2010). Research on motivation in collaborative learning: moving beyond the cognitive–situative divide and combining individual and social processes. Educational Psychologist, 45(1), 15–27. Summers, M., & Volet, S.E. (2010). Group work does not necessarily equal collaborative learning: Evidence from observations and self-reports. 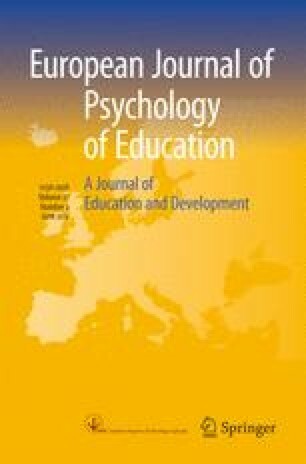 European Journal of Psychology of Education, 25(4), 473–492. Volet, S.E., Summers, M., & Thurman, J. (2009) High-level co-regulation in collaborative learning: how does it emerge and how is it sustained? Learning and Instruction, 19, 128–143. Volet, S.E., Vauras, M., & Salonen, P. (2009). Self- and social regulation in learning contexts: an integrative perspective. Educational Psychologist, 44(4), 215–226. Volet, S.E. & Karabenick, S. (2006). Help-seeking in cultural context. In S. Karabenick & R. Newman (Eds). Help seeking in academic settings: Goals, groups and contexts. (pp. 117–150). Mahwah, NJ: Erlbaum. Henderson, J. (2009). “It’s all about give and take,” or is it? Where, when and how do native and non-native uses of English shape U.K. university students’ representations of each other and their learning experience? Journal of Studies in International Education. doi: 10.1177/1028315308329788. Kimmel, K., & Volet, S. E. (2011a). University students’ perceptions of and attitudes towards culturally diverse group work: does context matter? Journal of Studies in International Education. doi: 10.1177/1028315310373833.